Healthcare is one of the largest employment sectors in Texas. There are 630 hospitals in the state, with 83,000 licensed beds. Grand Prairie, Texas, is part of Dallas County, which has the second-highest number of hospitals in the state. Although the healthcare sector here offers many opportunities for aspiring nurses, local hospitals and healthcare centers are very selective. This means that aspiring nurses need the right education to compete. Fortunately, Grand Prairie and the surrounding cities are home to a number of schools that offer accredited nursing programs at all levels. A good example is the University of Texas at Arlington (UTA). Located in close proximity to Grand Prairie, UTA offers a bachelor of science in nursing (BSN), master of science in nursing (MSN), doctor of nursing practice (DNP), and doctor of philosophy (PhD) in nursing. The Grand Prairie campuses of Concorde Career College and Fortis Institute both offer a licensed vocational nursing (LVN) diploma, while nearby Teamwork Career Institute offers a brief certified nursing assistant (CNA) program. 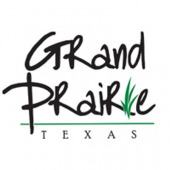 The four most common nursing roles in Grand Prairie, Texas, are nurse practitioner (NP), registered nurse (RN), licensed vocational nurse, and certified nursing assistant. These professionals assume a wide range of healthcare duties. NPs perform minor surgeries and procedures, conduct physical examinations, prescribe pharmacologic treatments, and interpret medical histories. RNs evaluate diagnostic tests, supervise more junior nursing staff, record patient symptoms, and educate patients about their medical conditions. LVNs administer oral and intravenous medications, chart medical records, collect specimens, take vital signs, and change wound dressings. CNAs provide hands-on care and perform routine tasks like sanitizing patient areas, lifting patients into wheelchairs or onto beds, bathing and dressing patients, and examining them for bruises and other injuries. Graduates of accredited nursing schools in Grand Prairie, Texas, are prepared to seek positions at major local hospitals. The area’s largest healthcare employers include Texas General Hospital, Arlington Memorial Hospital, USMD Hospital at Arlington, and Dallas Regional Medical Center. Local nursing salaries are very competitive. Grand Prairie NPs average $102,500 in annual pay; strong performers can earn $120,000-$135,000 or more. Local RNs average $72,900 annually, with the top quartile taking home $85,000 and above. LVNs earn $47,400 per year, while CNAs take home approximately $25,000 annually. If Grand Prairie, Texas, sounds like a great place to launch a nursing career, we’ve compiled below a list of accredited nursing schools to help you get started.